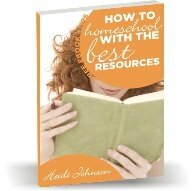 The homeschool workbox method has been around for several years now and is used by many people in some form or another. It is a system that parents can use to organize their student's schoolwork. Usually each student has 10-12 boxes assigned to them. The boxes can be stored on a cart, bookshelf or other type of furniture. 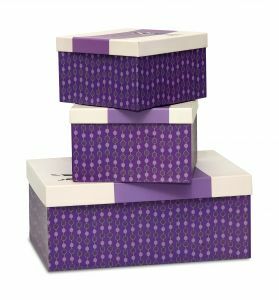 Each box contains one subject with the materials that mom wants them to complete that day. Sue Patrick is actually the creator of the Workbox System. She came up with the system when she was working with her autistic son with great success. This system can be used with ANY student though. Preschoolers through high schoolers can use the system too. This system works well with different learning styles and with any curriculum. Students are encouraged to work independently although they can work with a parent too. All materials are organized in one area. Can be used for any type of curriculum. Can be used for any type of learning style. Contents can be more than just workbooks. Can include flash cards, art projects, experiments, or hands on materials. Some students can get overwhelmed with the number of boxes they have to work through each day even though it is the same amount they have done in the past. Some parents can get overwhelmed with having to fill each child's boxes with materials each day or evening. If a family has many children, the boxes can take up quite a bit of space especially if there are 10 for each child. Most parents just purchase Sue Patrick's book and get all the information they need about how to set up a workbox system and how to maintain it. There are some forums on the internet parents can use if they want more ideas of what to put into the workboxes and how to organize and decorate them. When using this system, both parent and child know what is expected. When the boxes are done, their schoolwork is completed. Even the most disorganized family can thrive using this system provided they keep the boxes filled with the work and activities that need to be completed. We have been using boxes for YEARS. My children each had a box for their schoolwork. They were different shapes and sizes, but they each had a box. I guess I'm not all that creative because they just worked through the materials in their box each day. We did some things together and that was our day. When my son was 8, we discovered this workbox system and started implementing it. It was NOT a pretty sight. He though I was giving him tons more work because he saw 10 boxes instead of one. To me, it was a bit cumbersome trying to maintain all these boxes so I went back to our one box system and have stayed with that ever since. We do some things together and my children work independently too. They actually prefer independent work. Maybe they enjoy having control over their day. They know when their pile is done, they can move onto other things besides schoolwork. I just have my son home with me now so I just pull out his box, choose the items I want him to work on for that day and give him the stack. We read together and he works through his stack at his own pace. Math is probably the only thing he complains about even though he is good at it. That is my synopsis of the homeschool workbox system. I hope it has helped you. Feel free to leave comments if you like.